This winter/spring TV season has brought some pretty good new TV shows. Here's what I'm watching. 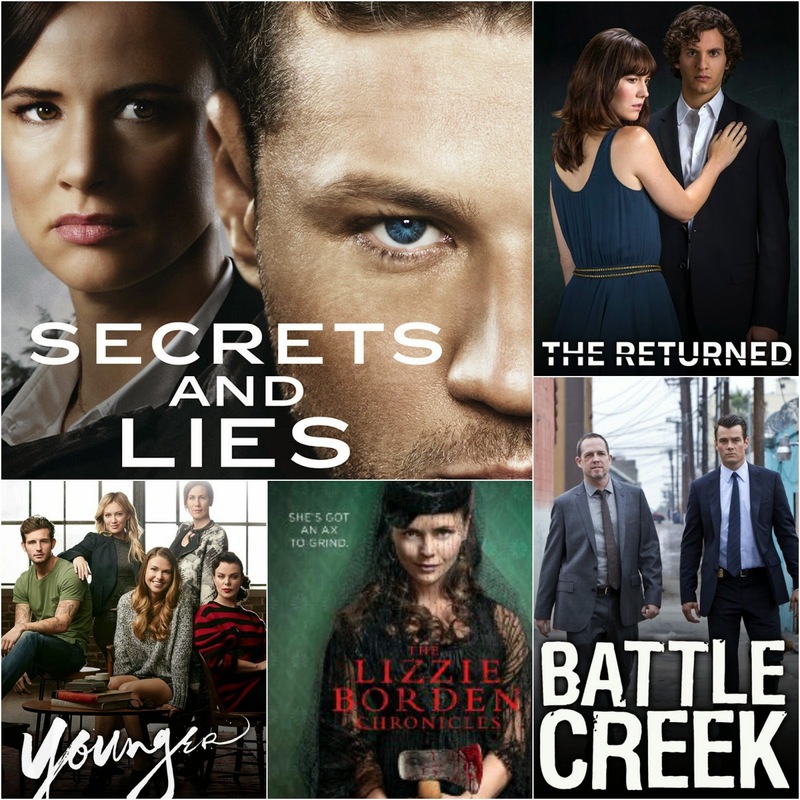 Secrets and Lies - I started watching for Ryan Phillipe and stayed for the story. The main character is suspected of killing a young neighbor and the plot twists and turns each week. It's one of those shows where the characters infuriate you and you want to punch them in the face (a testament to good acting) but you need to know what's happening so you put up with the anger to find out what's going on. The Returned - I randomly came across this show late at night and within 10 minutes had cold chills. People who have died are coming back and it's a huge mystery. Each week a new story plays out, but they are all connected in a way that we're yet to learn. I binge watched episodes On Demand so you can catch up the same way if interested. Younger - I didn't have high hopes but started watching because I adore Hilary Duff. I was pleasantly surprised, though! It's really cute and funny. A woman goes back to work after raising her daughter and finds that her age is a hindrance - so she creates a new, younger persona. The show is only two weeks in but is sure to be full of shenanigans. Battle Creek - Josh Duhamel. Do you need anything else? It's not the best show on TV, but again, Josh Duhamel. It's entertaining enough to keep me coming back each week. If you like detective shows and comedy, you may like it. And it's the type of show that you can pick up at any time without feeling lost. Give it a shot, for Josh! The Lizzie Borden Chronicles - This is the only show I'm not quite sure of yet since it just premiered Sunday. Picking up where the Lifetime movie left off, we get a fictional look at life for Lizzie Borden after she was acquitted of killing her father and step-mother with an axe. The first episode was OK so I'll give it another shot this weekend and see if I like it. Impractical Jokers - this show is in it's fourth season but I just recently discovered it and am obsessed! I legit have had an asthma attack from laughing so hard while watching. Four guys dare each other to do embarrassing things in public and it's hilarious. If you haven't seen it, find an episode ASAP! Reruns are on all the time and I'm so addicted I'll watch the same ones over and over. I so want to see Secret and Lies. Totally just for Ryan Phillipe. I think he is a great actor. I watched the first episode of Younger last night. I liked it! Hmmm haven't seen any of these... may need to check them out! Secrets and Lies is so good, and I just got hooked on Younger. I legit spit my drink out from laughing at Impractical Jokers, so funny!! I watch Younger and it's okay so far, hope to see more and learn more. Josh...I only watch the show because of him. That's it. Hahahaha. And the Lizzie Borden Series started off interesting but I am also not quite sure of what to think of it yet. We shall see how it goes on. I wish I had more time for TV. I'm excited for Game of Thrones to come back though. I'm really enjoying Battle Creek, but I'm hoping that it finds its groove - it can't decide what combo of serious and slapstick it wants to go for. As much as Ryan Philleppe is man candy, I couldn't keep watching Secrets & Lies lol I too watched Younger for Ms. Duff. The tattoo artist guy is HOT! But I think the premise is awful :/ I got a couple of reviews of the new April shows coming! I'm watching Younger too! 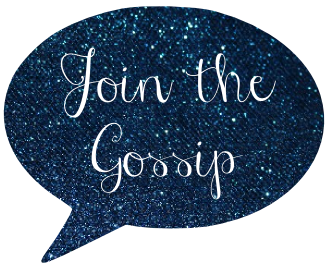 I tried Secrets and Lies, but I just can't get into dramas lately. I also recorded Lizzie, but haven't watched it yet. You know what show I loved from the winter? Stalker! We've been watching Secret and Lies but I'm really getting annoyed with it. I need some answers soon.